WYE OAK plays Danzig's "Mother" for The A.V. Club Undercover. CAGE THE ELEPHANT stopped by Morning Becomes Eclectic for a session. THE BELLE BRIGADE also stopped by Morning Becomes Eclectic for a session. HALEY BONAR stopped by The Current for a chat and mini-set. ALL SONGS CONSIDERED: New tracks from Rome, Ben Solee and Le Butcherettes, plus the High Llamas and my favorite Phil Spector track evah highlight the latest edition of the long-running series. DEATH CAB FOR CUTIE dropped "Some Boys" in advance of Codes and Keys. 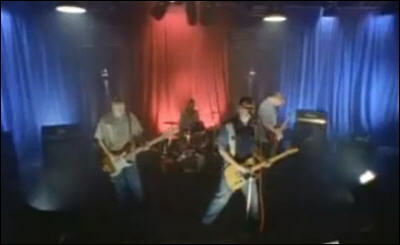 THE SMOKING POPES: "Need You Around," for a little Chicago flavor. TOM PETTY: Highlights from a fan Q&A session at Sirius XM. VINYL: Don't call it a comeback. CHARLIE SHEEN and Brooke Mueller headed to court for a child custody showdown... and Sheen is not winning. Prior Sheen ex Denise Richards had offered to take informal custody of Sheen and Mueller's twins, but that will be left to Mueller's mom. LINDSAY LOHAN: A Hollywood producer is hoping to sign the troubled actress to not just one, but two mob movies. HALLE BERRY talked about her custody case on Extra. KATE HUDSON details how she fell in love British rocker (and baby daddy-to-be) Matthew Bellamy. JEFF BRIDGES has just signed to the legendary Blue Note Records for the late summer release of his debut album. KARA DioGUARDI: The fmr. Idol judge and music industry vet reveals in her new memoir that, among other things, she was molested as a child and was date-raped by a well-known music producer. HAPPY DAYS stars are all suing the network because they claim they have not been paid for merchandising revenues they are owed under their contracts. BOARDWALK EMPIRE star Paz de la Huerta was just charged with assault for allegedly attacking "City" star Samantha Swetra at an NYC party last month. ROYAL WEDDING: NBC will scale back coverage, believing Prince William and Kate Middleton are boring. THE DARK KNIGHT RISES: Joseph Gordon-Levitt and Marion Cotillard officially join the cast... but their parts are surprising. IRAN: Lawmakers in Tehran have recently proposed a bill in parliament that would criminalize dog ownership, formally enshrining its punishment within the country's Islamic penal code. JORDAN: Ayman al Balawi was among 103 Salafi Islamists rounded up by Jordanian security forces after attacks in Zarqa wounded 83 policemen. Balawi is the brother of the al Qaeda operative who detonated a suicide vest at a CIA outpost in Khost, Afghanistan in December 2009. SYRIA: The government lifted the 48-year-old emergency law and abolished the state security court. Security forces opened fire on anti-government protesters in Homs, wounding 25. LIBYA: British military officers will be sent to the opposition stronghold of Benghazi to advise rebels fighting Gaddafi's forces. A FRENCH BULLDOG learns hip-hop. THE SWARM: Four beers, one ladder, 8000 bees and an Irishman. What could go wrong? AND NOW FOR SOMETHING COMPLETELY DIFFERENT: A leopard acting like a meerkat. 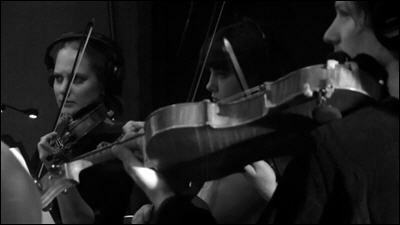 JOHN VANDERSLICE premiered "Overcoat," lushly orchestarted and recorded at Fantasy Studios, for NPR. NEW RELEASES from the Watson Twins, I'm From Barcelona, French Horn Rebellion, Del McCoury and more are streaming this week at Spinner. RAPHAEL SAADIQ stopped by the World Cafe for a chat and mini-set. ELBOW stopped by Morning Becomes Eclectic for a session. LOW stopped by The Current for a chat and mini-set. MY MORNING JACKET dropped "Octoplasm" in advance of Circuital. DID BOB DYLAN defeat China's censors? IT'S THE SUMMER OF SELLING OUT, And It Feels Fine. 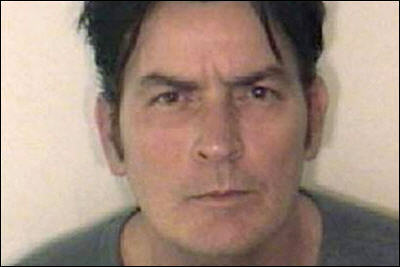 CHARLIE SHEEN will be seeking temporary custody of his twin sons this week, as their mother returns to rehab. Frying pan... fire. Goddess #1, Bree Olson, has left the warlock and returned home, but syas she'll come back. LINDSAY LOHAN's lawyer asked the judge in her grand theft case how much time she'll get if she agrees to a guilty or no contest plea. HALLE BERRY just dropped out of a highly anticipated Broadway play, citing "custody issues." ROBERT PATTINSON & KRISTEN STEWART were caught canoodling at the Water For Elephants premiere afterparty. AMERICAN PIE REUNION: The growing cast begs the question, "How are the careers going?" EVAN RACHEL WOOD talks to Esquire about her talent, her relationships, and all of her tattoos (except one). BRAD BIRD looks back at The Incredibles and ahead to Mission: Impossible 4. SUPER 8 has a new viral clip. ISLAMISM in the UK: Women who do not wear headscarves are being threatened with violence and even death by Islamic extremists intent on imposing sharia law on parts of Britain, it was claimed Monday. Homosexuals have also been targeted. SYRIA: Security forces killed three people and wounded dozens more after opening fire at a funeral for a soldier who is thought to have been tortured and killed by security forces. LIBYA: More than 20 "Islamist" commanders hold leadership positions in the Libyan rebel forces. Rebels in Ajdabiyah are losing ground against Gaddafi's forces. PAKISTAN: The differences between the US and Pakistan that broke into the open last week over the scale of C.I.A. operations here signaled a fundamental rift, plunging the relationship, sometimes strained, sometimes warm, to its lowest point in memory. 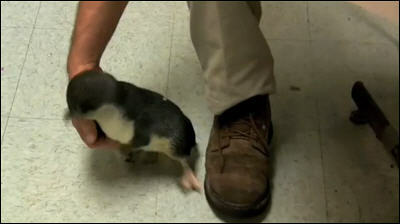 BABY PENGUIN TICKLED: Let's go to the video. THE SQUIRREL THREAT: Even bigger in India. PEEPS SHOW V: The winning entry and 35 runners-up from the 2011 Washington Post Peeps Diorama Contest. THE DECEMBERISTS dropped a video for "This Is Why We Fight." THE PAINS OF BEING PURE AT HEART did the four free songs thing for Daytrotter. STEVE EARLE is advance streaming I'll Never Get Out of This World Alive. TIMES NEW VIKING is advance streaming Dancer Equired. THAO & MIRAH are advance streaming their self-titled album. EMMYLOU HARRIS is advance streaming Hard Bargain. SHEARWATER: Can you guess what Jonathan Meiberg talked to Songwriters on Process about? I think so. MORE COWBELL! 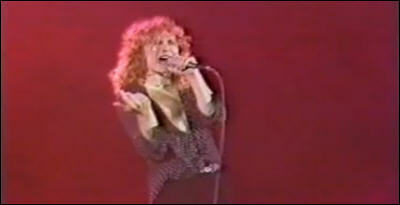 The 10 Best Cowbell Songs, according to NME. But there's no "Mississippi Queen"? WEEKEND BOX OFFICE: Rio perched atop the cineplex with 40 million -- the first movie to open that big this year (5 movies had hit that mark by this time last year, and that was with Avatar still big last January). Animation (Rio, Hop, Rango) has been the big draw this year to date. Rio has also taken in some 80 million overseas, which means it has recouped its 90 million production budget, if not its total cost (which may be as high as 200 million, once worldwide distribution and marketing is factored in). Rio is unlikley to face serious competition for kids until May 27 (Kung Fu Panda 2). Scream 4 placed with the roughly predicted 19.3 million, which is okay and likely good enough for more sequels, given a 40 million budget. Hop dropped 48 percent to third with 11.2 million, taking a big hit from Rio. Even so, Hop is just opening overseas and will likely turn a tidy profit. Soul Surfer showed decent leg in the fourth spot with 7.4 million, more than recouping its 18 million budget. Hanna rounds out the Top Five with 7.3 million, likely pressured a bit by Scream 4. Below the fold, The Conspirator debuted in the ninth slot with 3.9 million, which was better than expected, as was Altas Shrigged (Part 1) doing 1.7 million on 300 screens. NICOLAS CAGE was arrested early Saturday morning in New Orleans for domestic abuse, after daring the police to arrest him following a loud argument with his wife. CHARLIE SHEEN is headed back to court after his soon-to-be ex-wife Brooke Mueller refused a drug test. Reportedly, Mueller was frantically calling friends for drug-free urine and trying to hock an expensive men's watch that day. EVANGELINE LILLY was spotted with a visible baby bump in Hawaii on Thursday. CHRISTINA AGUILERA is officially divorced. CONDOLEEZA RICE will appear as Alec Baldwin's girlfriend on 30 Rock. MARK RUFFALO: Working a lot for a man in retirement. THE LONE RANGER: Ryan Gosling is in talks to star opposite Johnny Depp. LIBYA: Less than a month into the conflict, NATO is running short of precision bombs, highlighting the limitations of Britain, France and other European countries in sustaining even a relatively small military action over an extended period of time. Libyan rebels in their eastern capital of Benghazi said they had begun receiving weapons supplies from unidentified nations that supported their uprising. SYRIA: President Assad promised to lift the country's emergency laws by next week. He also promised other reforms, including legislation allowing the formation of political parties, but warned that once these reforms are implemented, "there will no longer be an excuse to organize protests in Syria." EGYPT: The rapid spread of Muslim political parties ahead of September's parliamentary elections has strengthened fears that Egyptian democracy will be dominated by radical Islamic movements. An Egyptian court has ordered the disbanding of the NDP, former President Mubarak's political party; the ruling gives the NDP's money and property to the government and leaves the Muslim Brotherhood the strongest political organization in Egypt. 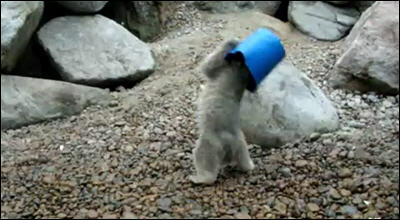 A POLAR CUB and a blue bucket. 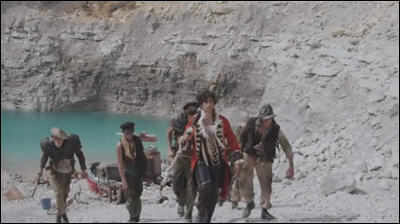 Let's go to the video. AN ELEPHANT at the Oklahoma City Zoo gave birth to a female calf Friday night. Pics and live cam at the link. A GORILLA cuddles a duckling that had strayed from a nearby moat at Bristol zoo. PET AIRWAYS: Travel for your Best Friend. PITBULL RESCUED from a fire and revived with CPR. ...with LED ZEPPELIN! Live at Knebworth, 1979. 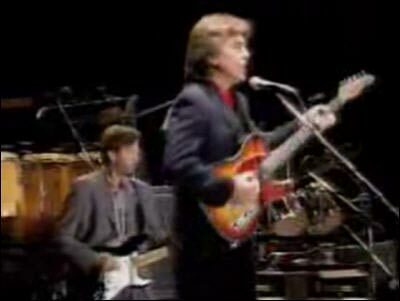 Your setlist includes: 'The Song Remains the Same," "Celebration Day," "Black Dog," "Nobody's Fault But Mine," "Over the Hills & Far Away," "Misty Mountain Hop," "Since I've Been Loving You," "No Quarter (Part 2)," "Hot Dog," "Rain Song," "White Summer/Black Mountainside," "Kashmir," "Trampled Underfoot," "Sick Again," "Achilles Last Stand," "Page Solo," "In the Evening," "Stairway to Heaven," "Rock n Roll," "Whole Lotta Love (Part 2)," and "Communication Breakdown." DELTA SPIRIT did the four free songs thing for Daytrotter, including a couple of Tom Waits tunes. DEVOTCHKA stopped by the World Cafe for a chat and mini-set. THE REPLACEMENTS: Paid In Beer, Parts One and Two. GUIDED BY VOICES: Bug House. ELEVENTH DREAM DAY leaks covers of Brian Eno and Joy Division songs. COACHELLA: Select sets from the festival, which starts today, will be webcast on YouTube. It looks like PJ Harvey, The National, Interpol, The Black Keys, Bright Eyes, Cut Copy, Cold War Kids, Duran Duran, Nas and Damian Marley, and Mumford & Sons are included the webcast lineup. KATE NASH talks to Drowned in Sound about her label start-up and being a woman in the music industry. 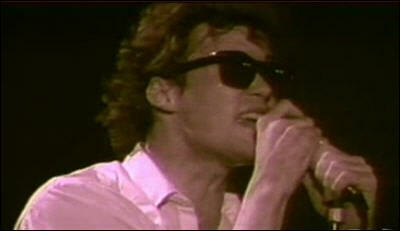 THE JESUS & MARY CHAIN have a Tumblr. CUTOUT BIN: From George Gershwin to The Clash, from the Replacements to the Chiffons, from David Bowie to Gary 'US' Bonds, plus James Brown, Guided by Voices, Sammy Johns, Dash Rip Rock, Tegan & Sara and more -- this Friday's fortuitous finds are now streaming from the Pate page at the ol' HM. NOW SHOWING: This weekend's wide releases include the animated Rio, which is currently scoring 75 percent on the ol' Tomatometer; and Scream 4, currently scoring 63 percent. The Conspirator opens on about 700 screens with 53 percent. COURTENEY COX crashed the Howard Stern show -- while her estranged husband David Arquette was in the studio -- to give her side of their marital dysfunction. CHARLIE SHEEN is lying that he's "in discussions" over returning to Two and a Half Men - this according to a letter from Warner Bros. But Sheen is sticking to his story. CATHERINE ZETA-JONES: More on her bipolar disorder. REESE WITHERSPOON says her love scenes with Robert Pattinson in their new movie Water for Elephants were downright disgusting. ROBERT PATTINSON, btw, reportedly bought Kristen Stewart a 17K diamond promise ring. WINNIE THE POOH is getting a She & Him soundtrack. THE HOBBIT: Peter Jackson drops the first production video. SYRIA: The US said Iran is providing support to Syria to suppress nationwide anti-government protests. LIBYA: The US and European countries believe the Libyan rebels are "hopelessly disorganized" and that a stalemate with Gaddafi's forces is inevitable. Hezbollah denied reports that its members are fighting alongside the rebels. AFGHANISTAN: The Taliban has deepened its infiltration of Afghan institutions and sharpened its surveillance of Afghan and foreign troops as it seeks to exploit an edge in the information war that will help decide the fate of the insurgency. GUILTY CAT: Let's go to the video. KISSING A FROG? Bad idea for both of you. JUST A TIGER in a Range Rover. A CHEETAH CUB and a PUPPEH, playing together...Mass hysteria! 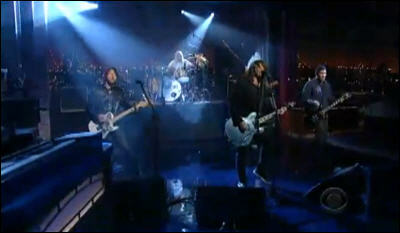 FOO FIGHTERS played "Rope" at the Ed Sullivan Theater, with a link to a 90-minute set. SONDRE LERCHE did five free songs for Daytrotter. JOSH RITTER played a Tiny Desk Concert at the offices of NPR, including a cover of "Pale Blue Eyes." MAN MAN dropped the title track to "Life Fantastic." ALL SONGS CONSIDERED: Tracks from My Morning Jacket, Death Cab for Cutie, Thao & Mirah and more in the latest mix from the long-running series. 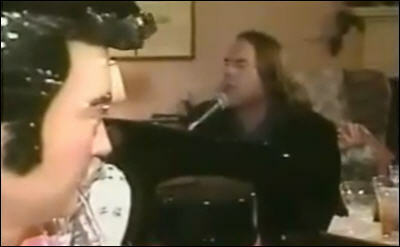 JIMMY WEBB, one of America's master songwriters, plays "Elvis and Me" on Steve Dahl's 1991 NYE PPV event. 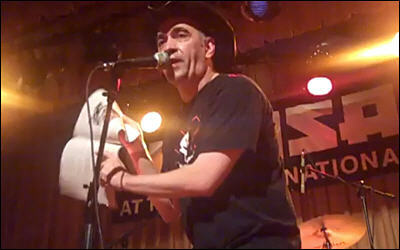 NEIL YOUNG: Exclaim has deets on A Treasure, an upcoming archival live LP. BUFFALO TOM talks to The Huffington Post and The Boston Globe about the band's latest album and 25 years together. CHARLES LAUFER, founder of the venerable Tiger Beat magazine, died of heart failure. He was 87. CHARLIE SHEEN claims his Two and a Half Men syndication profits are "being withheld," while hinting about a possible return to the show. Also, he bombed in Boston. SCARLETT JOHANSSON has moved into the Malibu home of Sean Penn. CATHERINE ZETA-JONES has reportedly entered a mental health treatment center for a bipolar disorder. LADY GAGA talks plastic surgery and more with Harper's Bazaar. HALLE BERRY & GABRIEL AUBRY are trying to finalize a child custody settlement. BRADLEY COOPER in early negotiations to star in a remake of The Crow. Is that necessary? TOM HANKS has become officially attached to star in Cloud Atlas, an adaptation of the David Mitchell novel that consists of six interconnected stories. The Matrix helmers Andy and Lana Wachowski and Run Lola Run helmer Tom Tykwer have signed on to write and co-direct the film. THE MARTIAN CHRONICLES heads to Paramount. PEOPLE'S MOST BEAUTIFUL: A sneak peek. IRAN announced its willingness to begin new nuclear talks. Why wouldn't they? SYRIA: Security forces detained more than 350 men during sweeping raids in the town of Baida. EGYPT: The military detained former Pres Mubarak and his two sons during an inquiry into their use of force during winter protests. 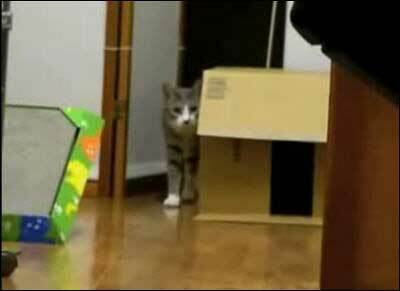 STALKING CAT: I may have posted this years ago, but I'm laughing again. 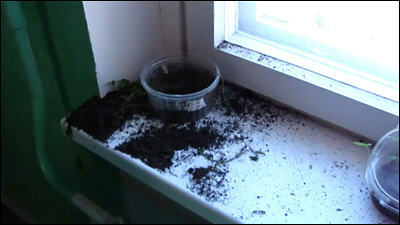 A HORDE OF SNAKES were seized by police inside a downtown Winnipeg apartment suite. A DEEP SEA MONSTER sent people running for their lives when it was reeled in on a Taiwanese beach. SHEEP DYED ORANGE to prevent rustling. WOODPECKERS are causing thousands of dollars in property damage in neighborhoods across Colorado.